The Horror-Fanatics.com Blog: CoD: World at War #1 on XBL again! The numbers continue to surprise us. Week after week it seems like the latest entry in the CALL OF DUTY series is topping the Xbox live charts. We didn't see this coming. In fact, we expected the opposite. From what I understand, Modern Warfare is a popular game and Infinite Ward is one of the most popular developers in the industry. Plus people are getting really tired of playing World War II shooters. Based on those facts we predicted that COD4 would beat out World At War. The sales and xbox live numbers today tell a different story. It appears that a vast majority of the Modern Warfare players have moved on to playing World at War (including myself). World at War is a great game and it just may be the best WWII shooter ever made. I remember reading an old report that talked about the sales for the Wii version and how it had greater combined US sales in its first three months of release than Call of Duty 4 did. World at War achieved this milestone despite COD4 outselling it by nearly 400,000 Xbox 360 units during the comparable months. 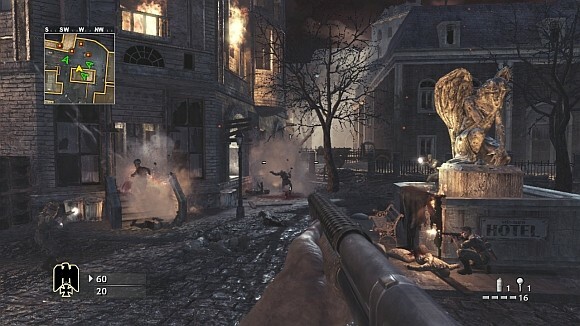 A rise in PS3 sales from COD4 to World at War -- just over 130,000 units -- helped to slightly offset this difference, but the introduction of a Wii version of World at War tipped the scales in favor of the latest Call of Duty entry. 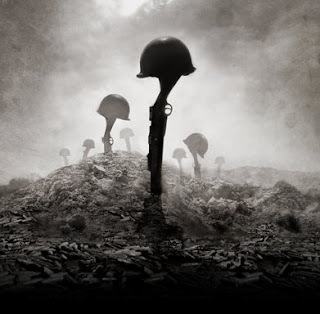 In December alone, the Wii World at War sold more than 366,000 units. Infinity Ward didn't make COD4 on the Wii, but I wouldn't be surprised if Modern Warfare 2 makes it on the platform. The Wii sells like hotcakes anyway, and it's nice to see that even on the Wii there's an audience for World at War players. The multiplayer pretty much plays the same minus some big features. I'm actually glad to see Treyarch's success, because most gamers were spectacle about the developer and the fact that they were going back to the most violent (and played out) war in human history. We're guessing that World at War will continue to dominate the charts until Modern Warfare 2 comes out. Next month Treyarch will be releasing some new multiplayer maps for download on xbox live. The new content will include the 3 standard maps as well as a new zombie maps which include the use of perks via the new Perk-a-cola machine. For an undisclosed price (predicted at around 800 points), you'll be able to add "Nightfire," "Station," "Knee Deep" and "Verrückt (Zombie Asylum)" to your list of playgrounds. This is great news for WaW fans. Verrückt (Zombie Asylum): The fan favorite 4-player co-op Nazi Zombies Bonus Mode returns with "Verrückt," a terrifying Zombie asylum featuring more weapons, perks via the addition of Perks-a-Cola machines, electroshock defenses and the endless zombie horde.